Man, oh man, there are some great things this week in blog world! I love to get on the computer and be completely blown away by the creativity of all of these women!! Check it out! Miss Mustard Seed has truly outdone herself on this chest! She painted it to look like a flag and it is stunning!! 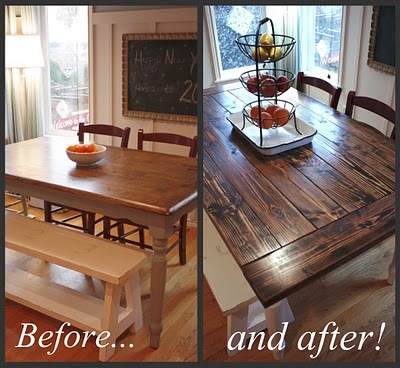 Karla over at It's the Little Things That Make a House a Home did a fabulous job remaking her table over! 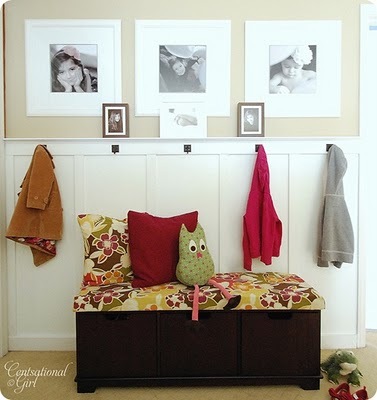 Kate, from Centsational Girl has created a wonderful space with the board and batten treatment! I always love to see what Holly from Holly Mathis Interiors comes up with. 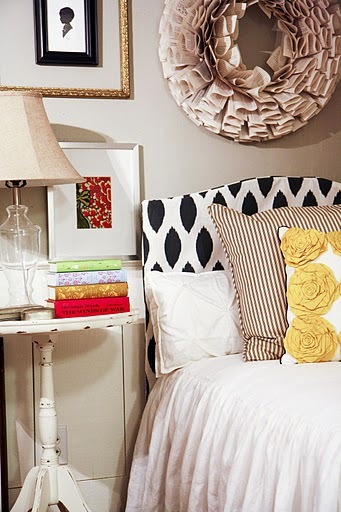 Like this easy headboard she created! 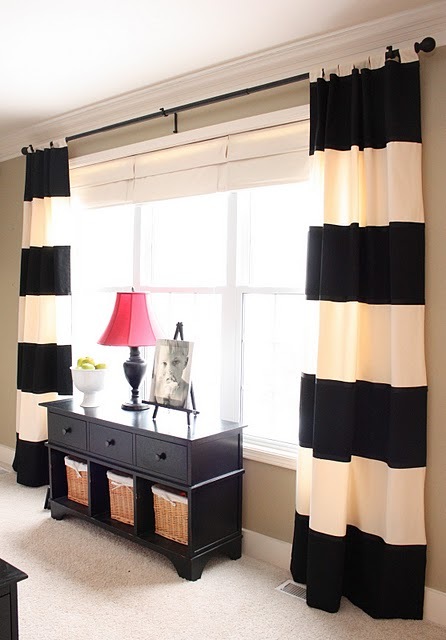 This bold black and white stripe curtain is divine from The Yellow Cape Cod. 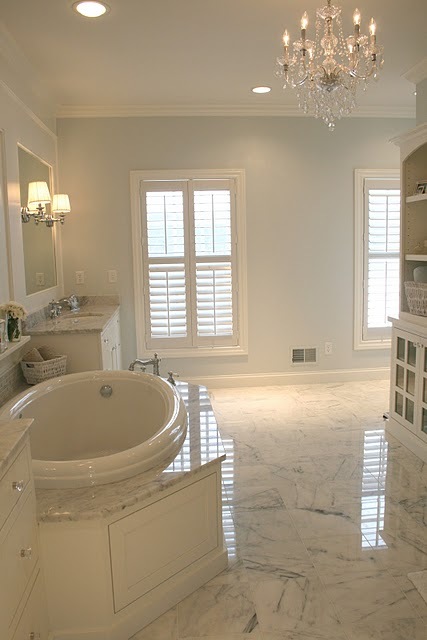 You will be so impressed with every aspect of Sara's master bathroom. 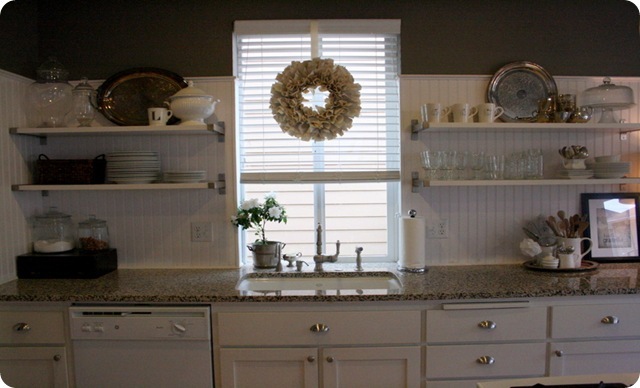 Head over to August Field's to drool over her kitchen and mudroom. She is a favorite! Jones Design company talks about her remodel job of her kitchen. Great before and after pics! 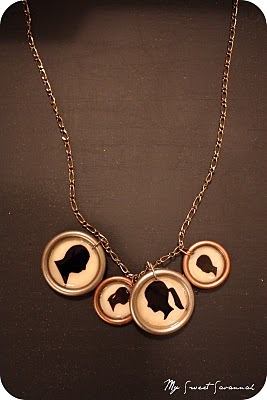 Melanie, from My Sweet Savannah, shows you exactly how to make this incredible necklace! Labels: inspiration, You'll Fall in Love With..
We definitely have the same favorites! I am always amazed at the creativity. I am excited to see the final reveal of your bathroom. Thanks so much for the inspiration!! These were some of my favorites too ... but I haven't seen the others, so thanks for sharing! Thanks for your sweet visit earlier...I love it when you stop by! These are all wonderul sites...such great inspiration...thanks for sharing! thanks for the super nice shout out on your blog today :) i will agree with you though....bloggy land is hopping with crazy creativity! i had not seen yellow cape cod's curtains! cute! have a wonderful nite. Truly fabulous inspiration! Happy Tuesday!! Erin, you are again the source of incredible design inspiration! 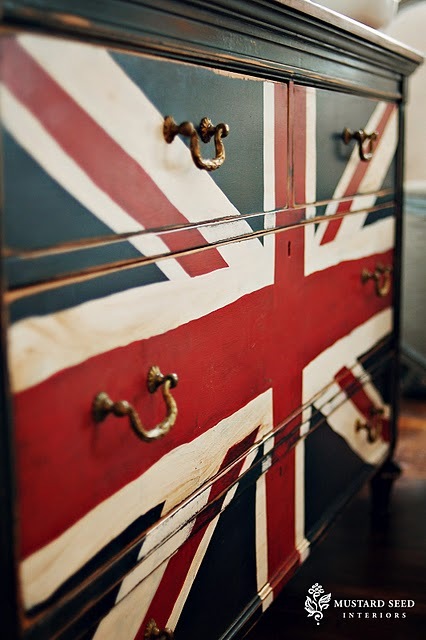 Love Mustard Seed's dresser and thank you so much for that peek at the kitchen over at jones design company. After so many months of trying to figure out what to do with my own kitchen, I think I've finally got it! Found your blog today! It's great!! Please come visit mine and become a follower!!! Plus, join my linky party as well this weekend!